Half of PHI’s S-92s are equipped with the rig approach system. Sikorsky and PHI Helicopters, co-developers of the new rig approach software for the S-92’s flight control computer, said they have recently gained new customers for the approach automation product. Half of PHI’s 28 S-92s already has the rig approach installed, and the remainder of the U.S. operator’s fleet is scheduled for the upgrade. 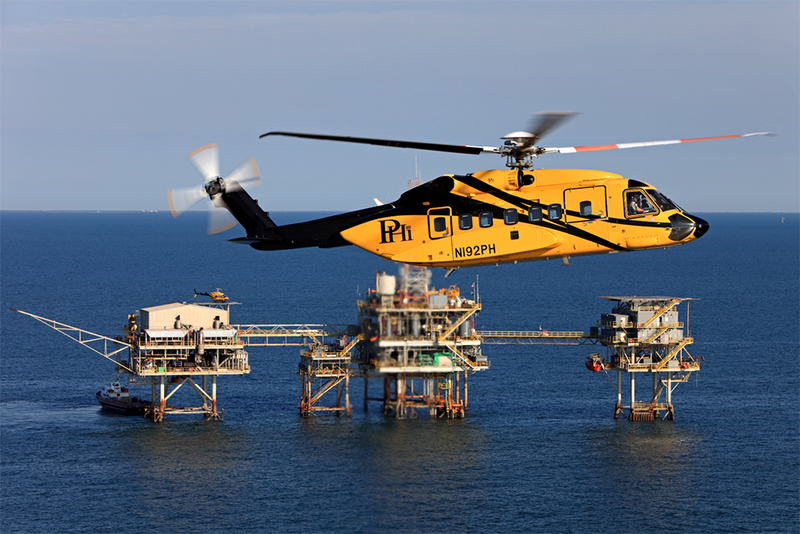 Rig approach gives the 26,000-pound helicopter a coupled-approach option, as well as automated departure capability to and from oil rigs in bad weather. S-92 pilots normally hand-fly oil rig approaches that can require as many as 17 separate decisions or actions inside the final approach fix. Rig approach not only flies the approach but also reduces the number of pilot decisions to seven, leaving more time for the pilots to identify the rig when they break out of the clouds. For PHI, rig approach has improved safety through increased situational awareness. That has also meant increased reliability as the helicopter can approach any rig down to 200 feet and one-half-mile weather minimums. “Market response to the rig approach is very strong,” a Sikorsky spokesman told AIN. “Four major offshore oil fleet operators have contracted for some or all of their fleets.” Sikorsky declined to identify the new customers. Rig approach is an available option on new S-92s and as a retrofit item on aircraft already flying.